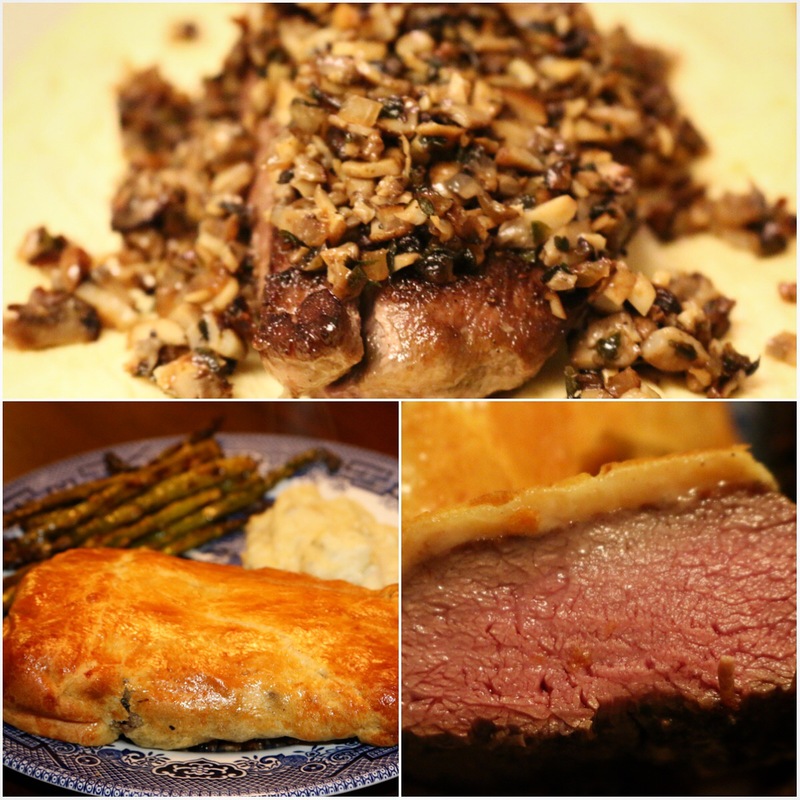 This past Christmas, I cooked a delicious Venison Wellington that I can’t wait to make again! It was the first Christmas I cooked the entire dinner myself and I knew I wanted to make something special. I had backstrap still in my freezer from the doe I shot the year before, just waiting for the “right” recipe to use it. 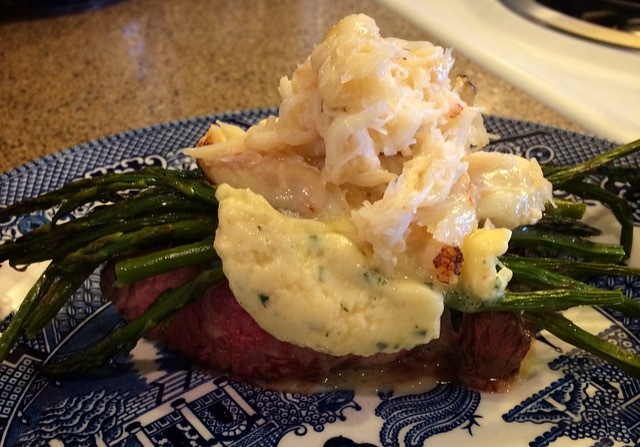 Well, this was definitely the “right” recipe and oh my goodness, was it amazing! Click below for the recipe and tons of mouth-watering pictures to walk you through the process of making this delicious meal! Just like that another year comes to an end. It seems like it was mere months ago we were ringing in 2016 , but now it seems everyone is collectively happy to see it go. It was quite the year, full of ups and downs, beginnings and ends. I made a lot of goals at the beginning of the year, and unfortunately most of them went unaccomplished. Many never even started. Still, I managed to get outdoors as much as possible and had a good year, full of firsts. 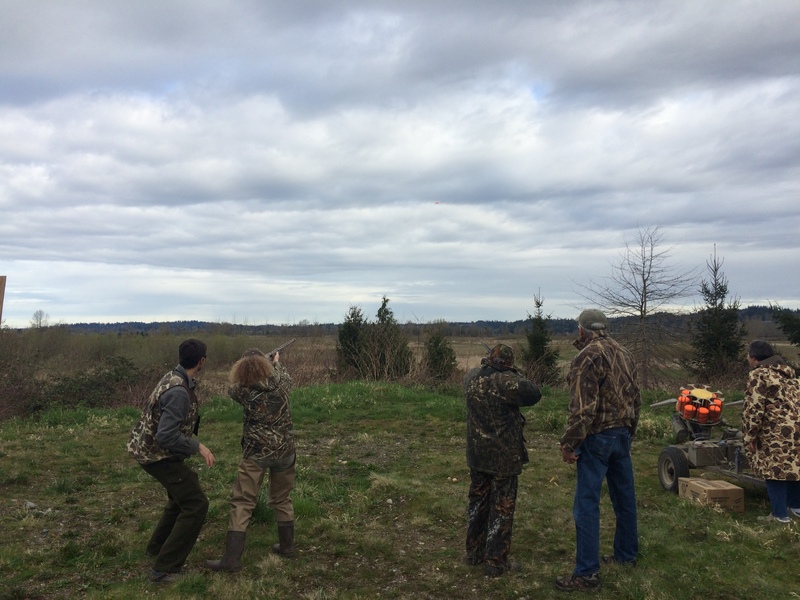 I was the first woman in my group to shoot a clay pigeon during a women’s only Duck Hunting 101 workshop. 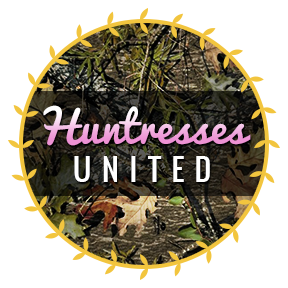 I learned more about duck hunting and had a great time bonding with other women! 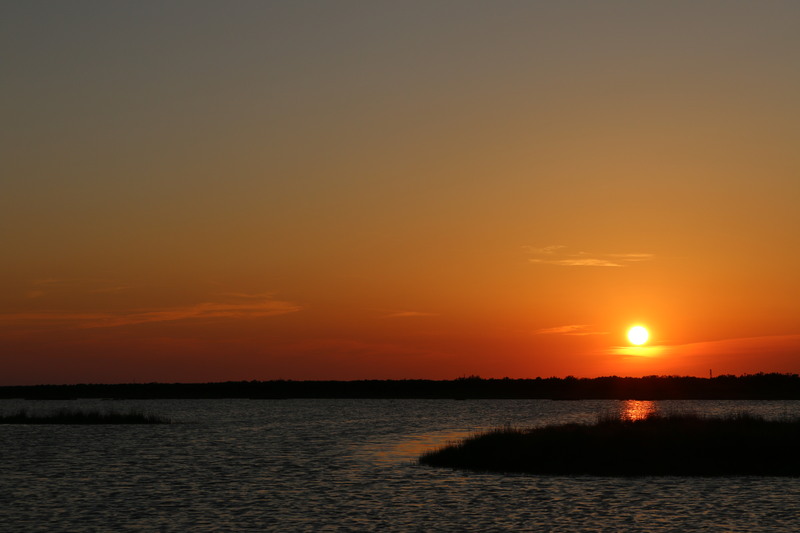 I traveled to Texas for the first time and fell in love with the culture and food. I can’t wait to get back next year and explore the state more! I cooked several venison recipes for the first time. 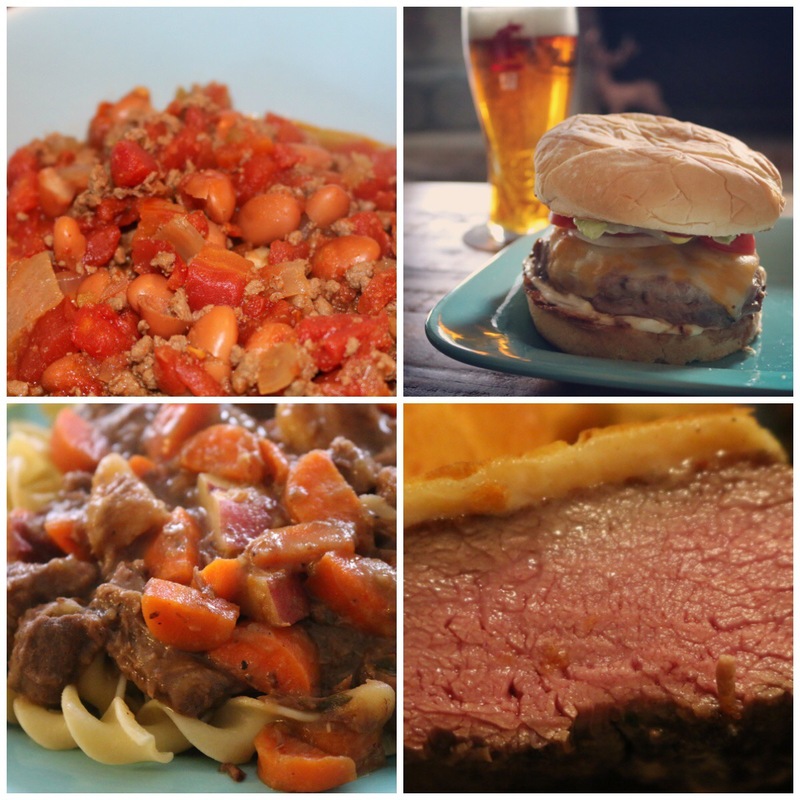 From delicious chili, to mouth watering venison bacon burgers, hearty venison stew, to amazing venison Wellington, I feel like I’ve conquered how to cook this wild game meat that just over a year ago I’d never used before. 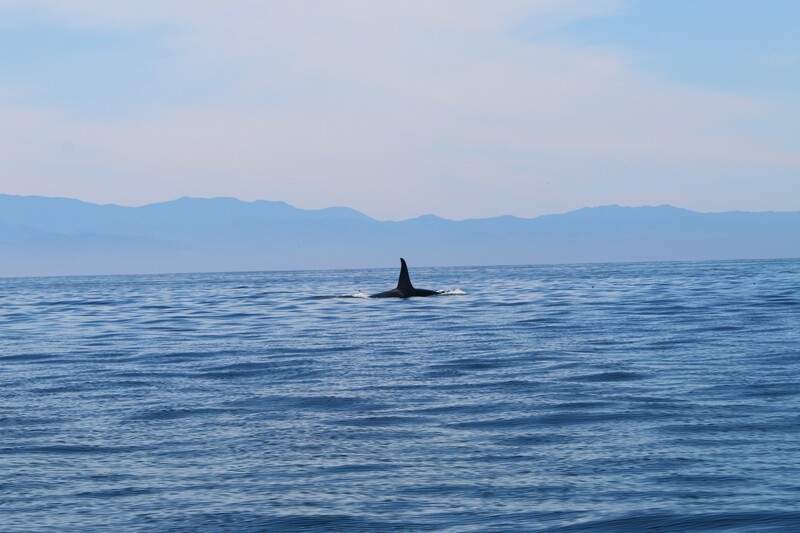 I saw my first orca and humpback whale in the wild. It was an incredible experience that I’ll never forget. I fly fished on a river for the first time, in the pouring rain, and absolutely loved it! I haven’t had time to write that post yet, but it’s coming soon. I’m already planning on when I can get out on the water to try fly fishing on my own. I bass fished along the Snake River and caught my first bass in one of the most breathtaking backdrops. 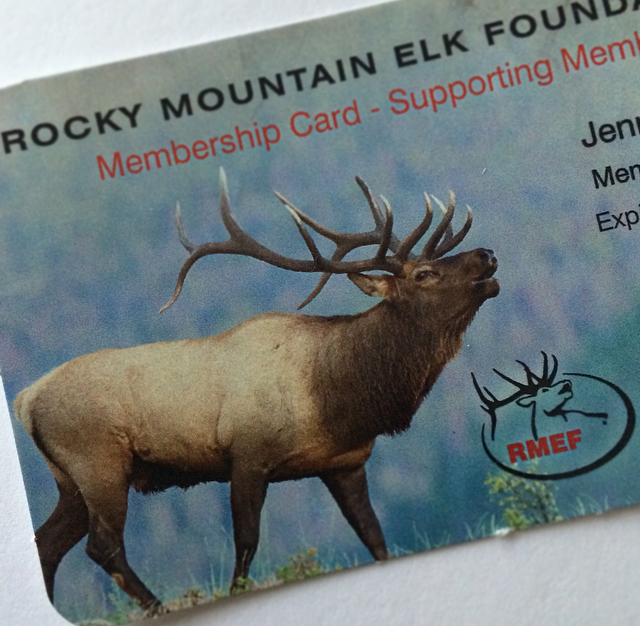 I became a volunteer with the Rocky Mountain Elk Foundation for the first of hopefully many years. Another post that hasn’t yet been written because this happened recently. I’ve had an itch to get involved with an organization I believe in and RMEF is the one that kept coming to mind. 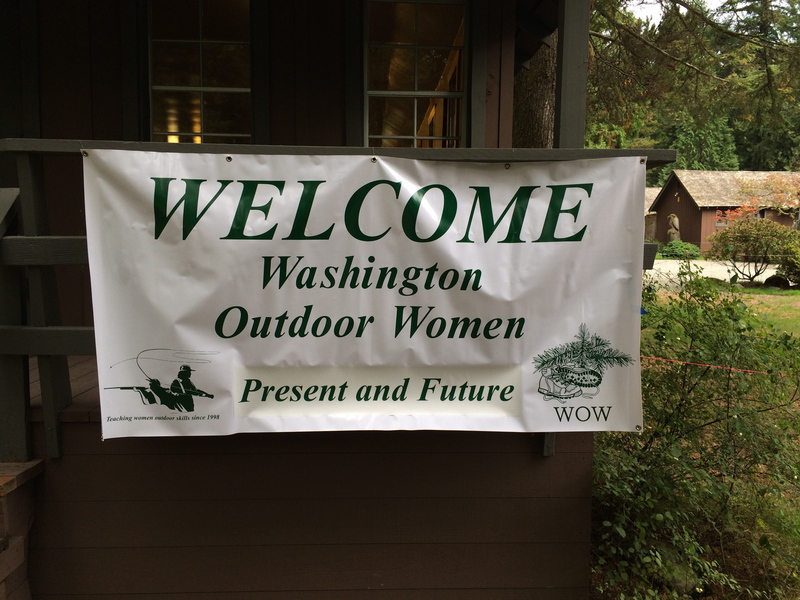 Their support of the Washington Outdoor Women retreats really impressed me. As well as their conservation efforts. I’m looking forward to being more involved with them as a volunteer. So overall, it was still a pretty great year with what I was able to make happen. It might’ve taken little to no sleep to do most of those things, but they were worth it! The best news of 2016 by far is getting a new job and returning to a normal schedule. It’s what allowed me to be able to volunteer with RMEF. After almost a year and a half of a night schedule, my body was starting to revolt against the few hours of sleep turnaround to then go spend the day being active. So this new job really came at the right time. It’s why this blog kind of fell by the wayside. I knew with how busy I was a few things weren’t going to be able to happen. I’m still getting used to going back to a normal schedule, but my plan for the New Year is to be back to my weekly posts. A lot happened this past year that’s still waiting to be written. Thank you to all the readers who have stuck around, it does mean a lot! So instead of writing out a list of goals for 2017, my one goal is simple. Get outside doing what I love as much as possible. Every morning as I drive to work, I cross the Ship Canal Bridge. The lights of downtown Seattle and the Space Needle shimmer behind Lake Union to my right, and I always find myself looking to the left, to see the mountains in the distance with the first rays of sunlight peaking out from behind them. 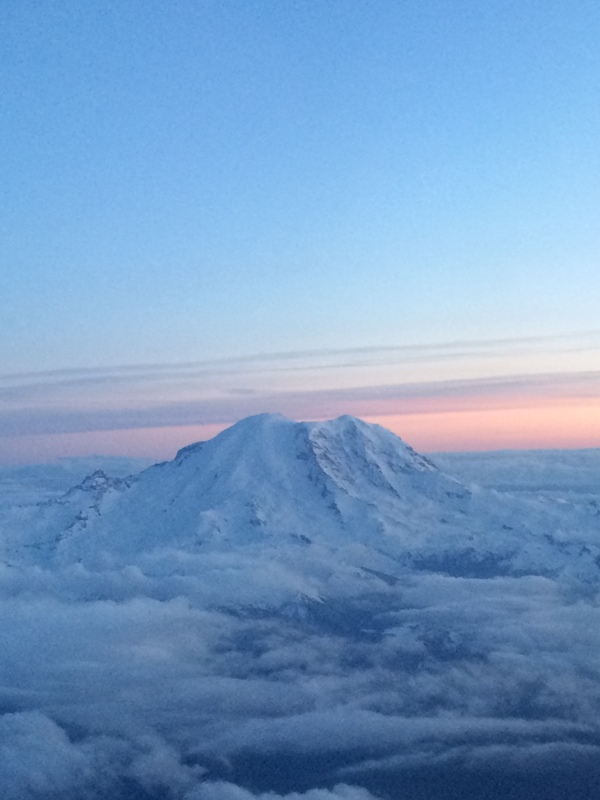 The quote, “The mountains are calling and I must go,” is true. And in 2017, I will go. As much as I can. 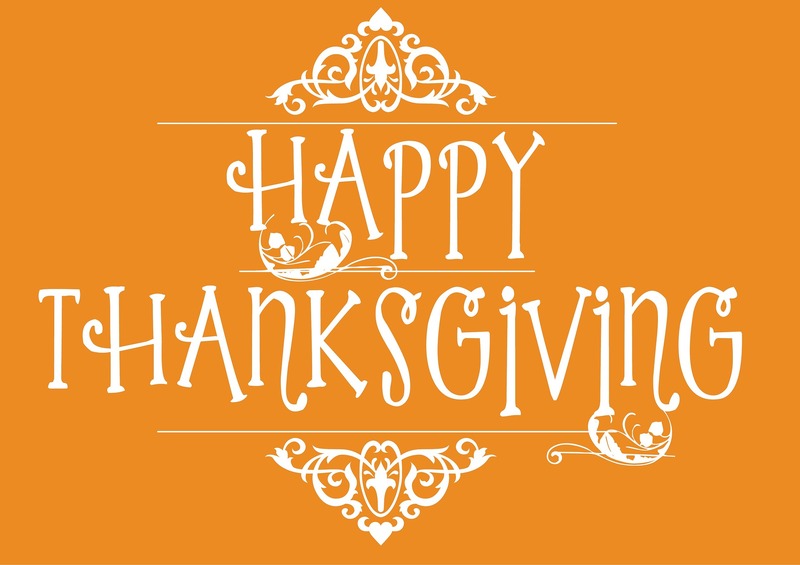 I hope everyone has a great day, filled with delicious food, and surrounded by friends and family! This year has been a crazy one. Anyone else shocked we’re already to the holidays?! I feel like this year just started a couple of months ago. It’s flown by! I haven’t been able to keep up with this blog or be as active in the outdoors as I’ve wanted, but I now have the best thing to be thankful for. This week, I started a new job with a much better schedule. It will allow me a lot more time to focus on this and get back into the outdoors! I’m beyond grateful for the opportunity. I’m hoping to get out next month for some duck hunting, and will really spend the next year ramping up to go hard next deer season! I also now have time to volunteer with some hunting organizations and I’m so excited about that. So, things should be getting back to normal with this blog soon! Thanks for sticking around still reading! I hope everyone has a wonderful Thanksgiving!! 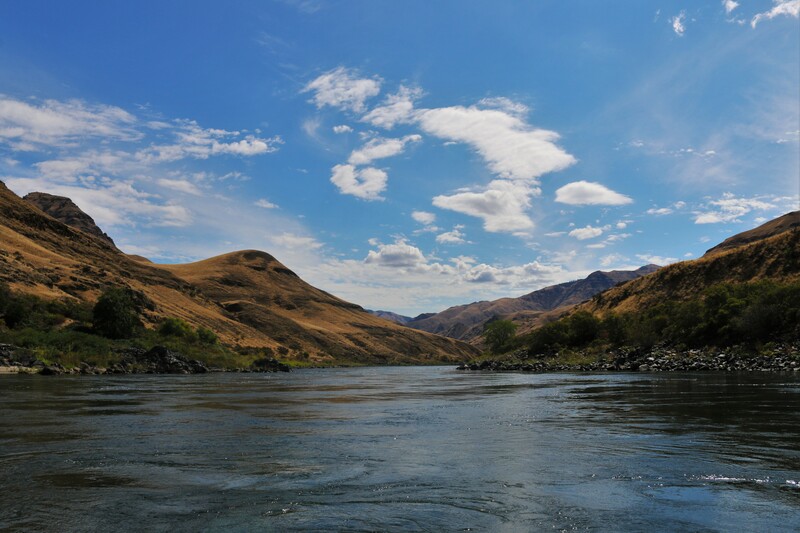 This past weekend, I was lucky enough to get out on the Snake River and try bass fishing for the first time. It was so much fun and I caught my first bass! 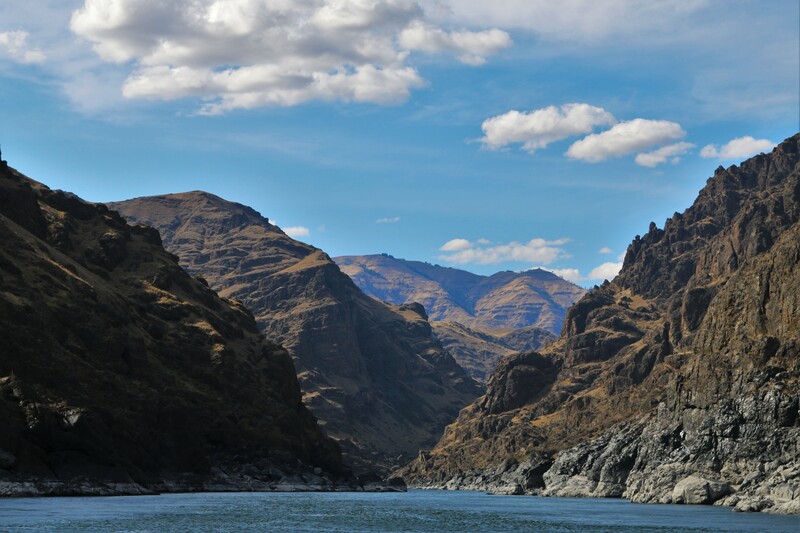 The Snake River in Washington is incredibly beautiful. I was lucky enough to go to school near there, so it was the spot to go in the summer. Little did I know I was missing out on some great bass fishing all those years! 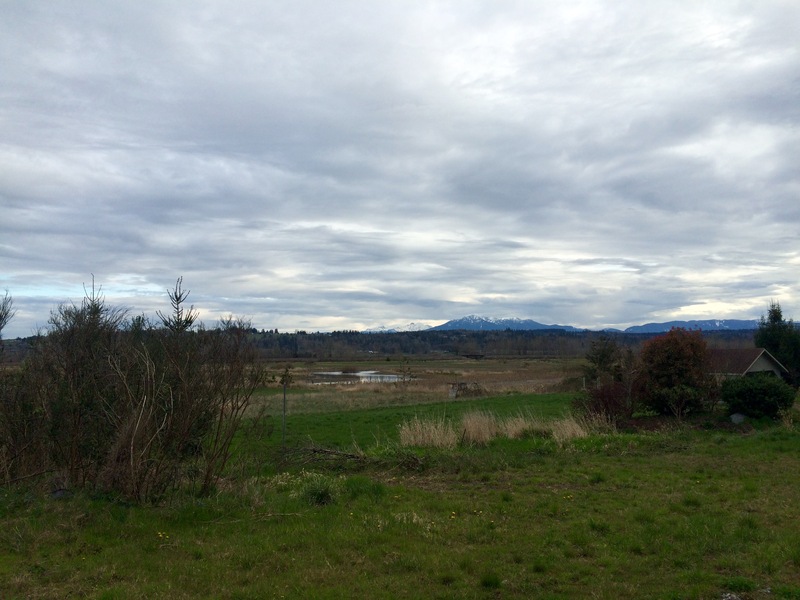 I went to visit my friend and her family who had a place along the river. Talk about a relaxing way to spend your weekend! No cell service, just the great outdoors and good company. 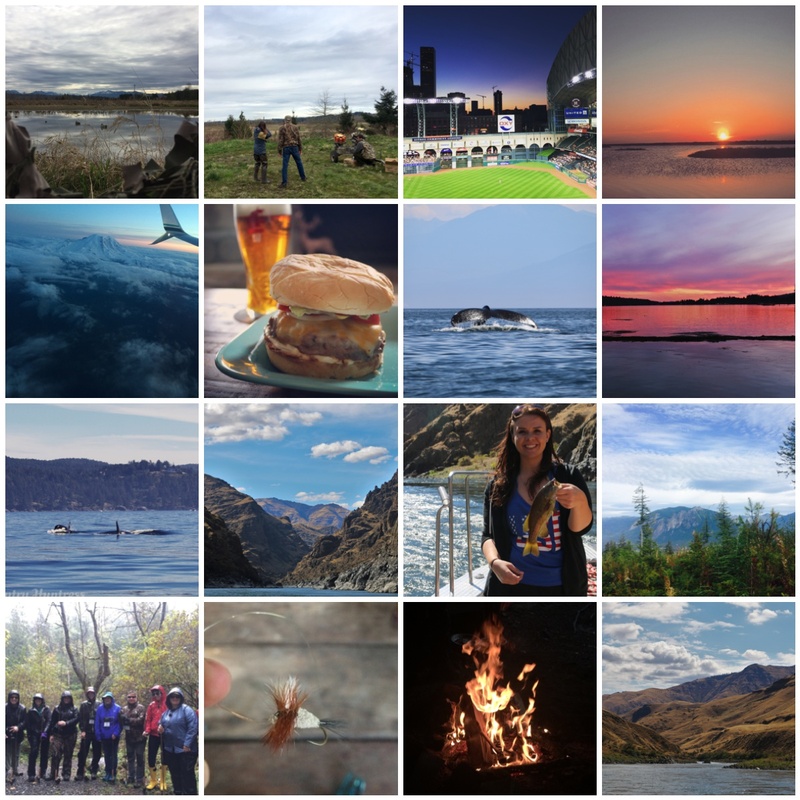 Click below to see a ton of pictures (including bighorn sheep!) 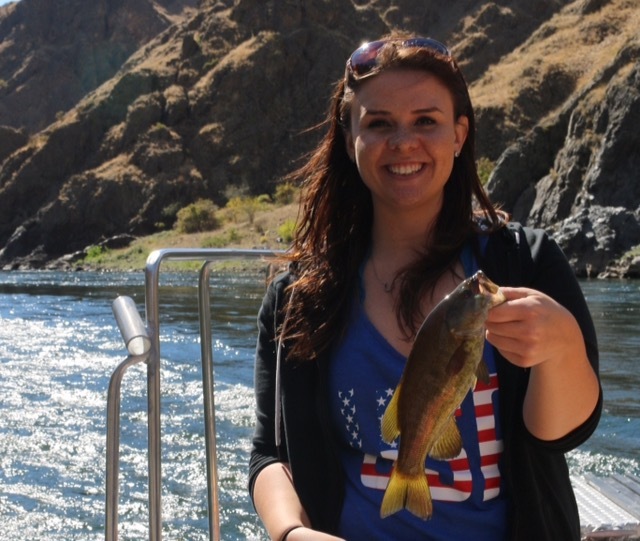 and read my story of bass fishing on the Snake River! 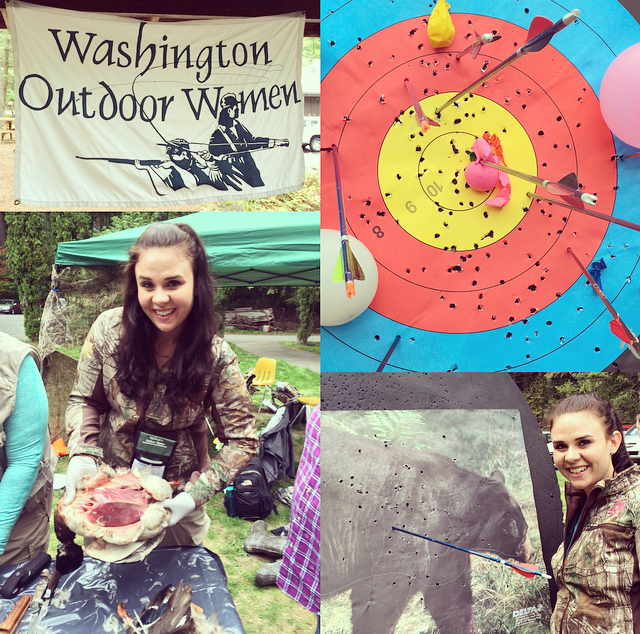 This past spring, I attended the Washington Outdoor Women’s “Duck Hunting 101” workshop. 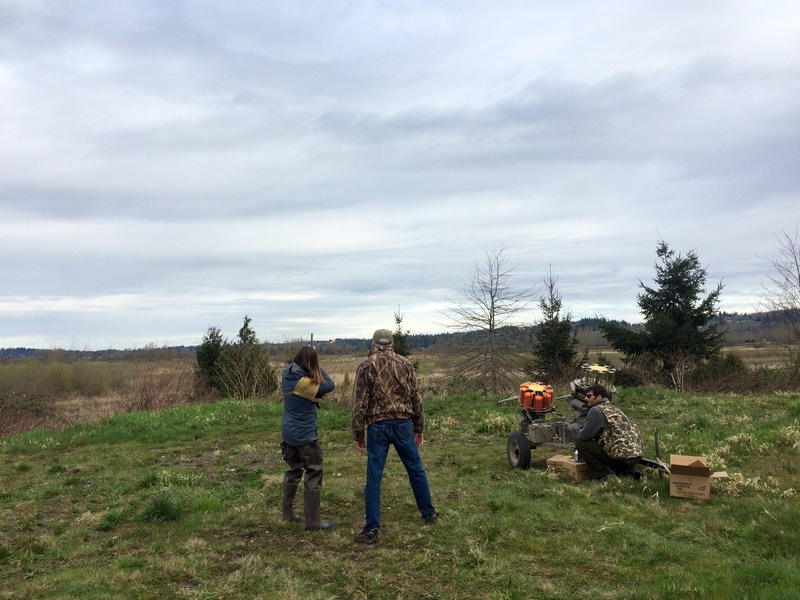 It was a day long workshop consisting of four separate stations: clay shooting, setting decoys, using a hunting dog, and duck hunting and gun safety. I took their shorter version of the Duck Hunting workshop at their fall retreat and loved it, so I was really excited to go to this. 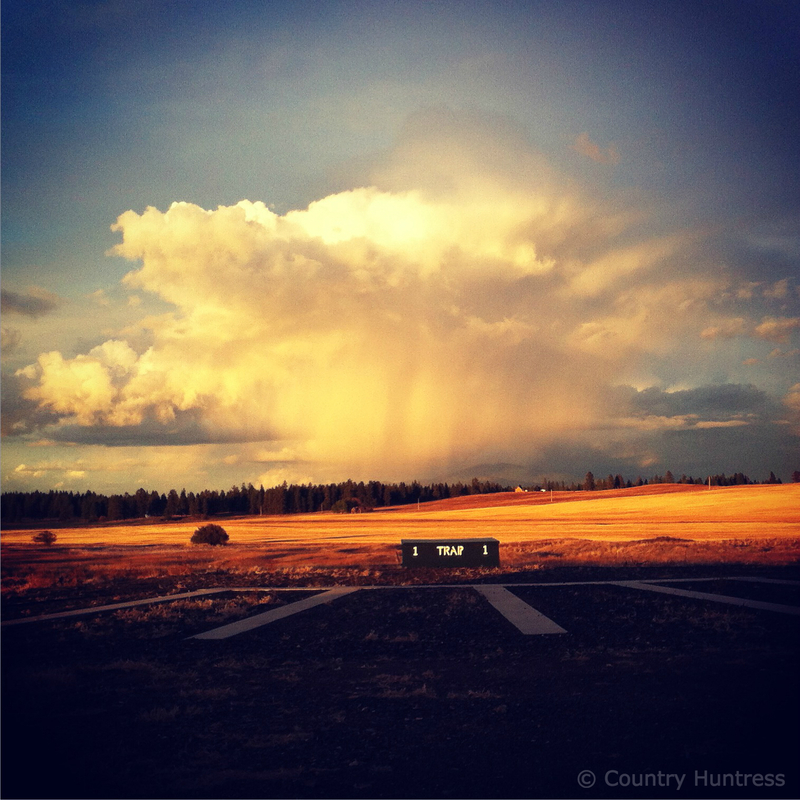 The workshop was being held at a private hunting club—a men’s only hunting club to be exact. But, for this one weekend out of the year, ladies took over! The hunting lodge itself was beautiful. I wish I could’ve gotten pictures inside of the big vaulted ceilings, wood and stone work throughout, a huge fireplace, and big leather couches to relax in. I’d love a hunting lodge like that one day! About 30 women attended, plus all the instructors. The day began with breakfast. Washington Outdoor Women sure know how to feed you well at all their workshops! Breakfast was a huge spread of options, several home cooked. One dish was a delicious salmon egg bake that I’d love to try and make myself. After everyone was fed, we had a quick intro then broke off into our groups. The ladies were separated, groups A-D, and would rotate through all the stations. 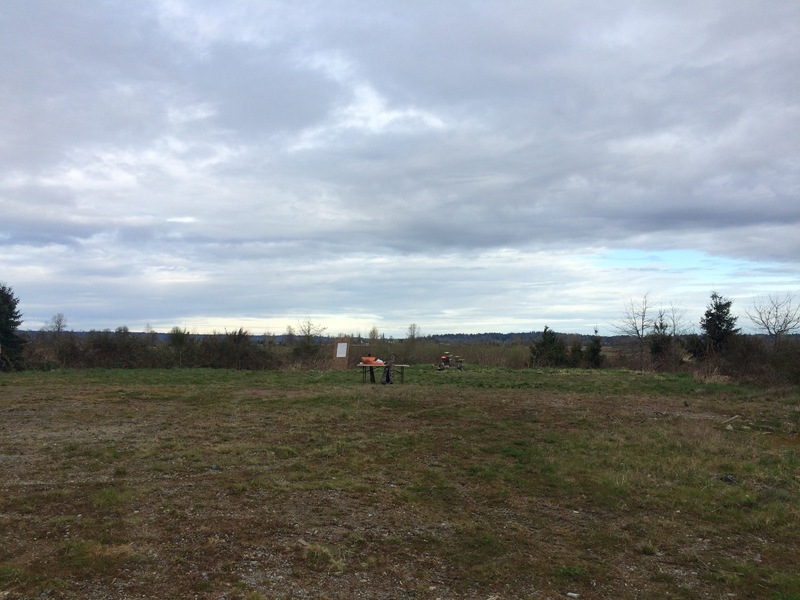 My first station was clay shooting. I ended up in the group with women who had previous gun experience, so we shot first. Everyone else took the gun safety workshop before getting to shoot the shotguns. A father and son taught this workshop. They quickly went over the basics and it was time to get shooting! Each woman had 6 chances for their turn. I’ve only shot clay pigeons one other time and it was during my Hunter Education field test where I hit it on my first try. Definite beginners luck! The first couple women who went missed all their shots. 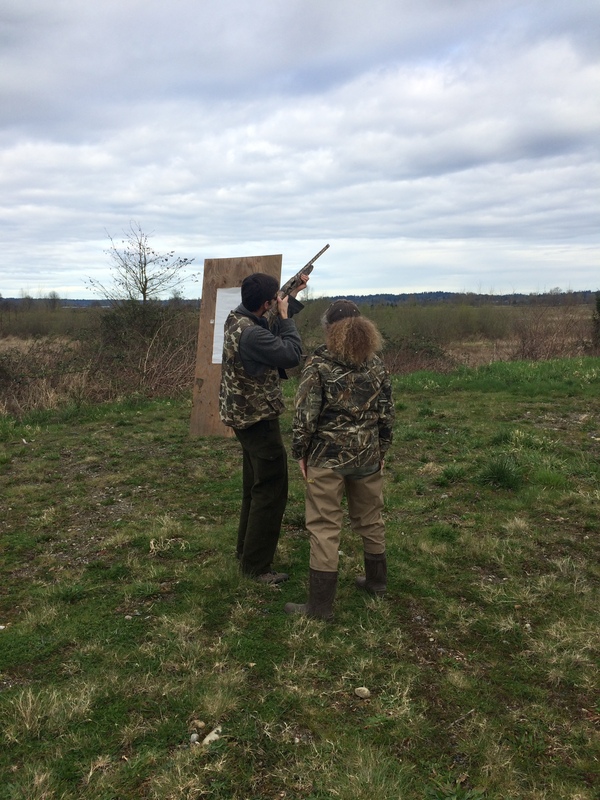 To be fair, we were having some problems with the machine shooting the clay pigeons. It wasn’t shooting when it was supposed to. It was my turn to get up and the instructor said he thought I’d shoot one since I shot a deer last year. I yelled pull and sure enough, he was right! First clay pigeon shot of the day! I’d really love to get more into trap shooting. It’s a lot of fun and I feel like it’s something I could become pretty good at with practice. It’s also so satisfying to see your clay target break into pieces! We had an hour at each station and boy did that hour fly by quick! Each woman went through the station once. A couple women were pretty new to using shotguns and they went another time so they could hopefully shoot their first target. One of the reasons I love learning with a group of women is they’re incredibly encouraging. Everyone cheered and was genuinely happy when a woman did finally hit her first target. It’s an incredibly supportive environment to learn in. Our next station in the Duck Hunting workshop was setting decoys and we were getting out on the water to learn! 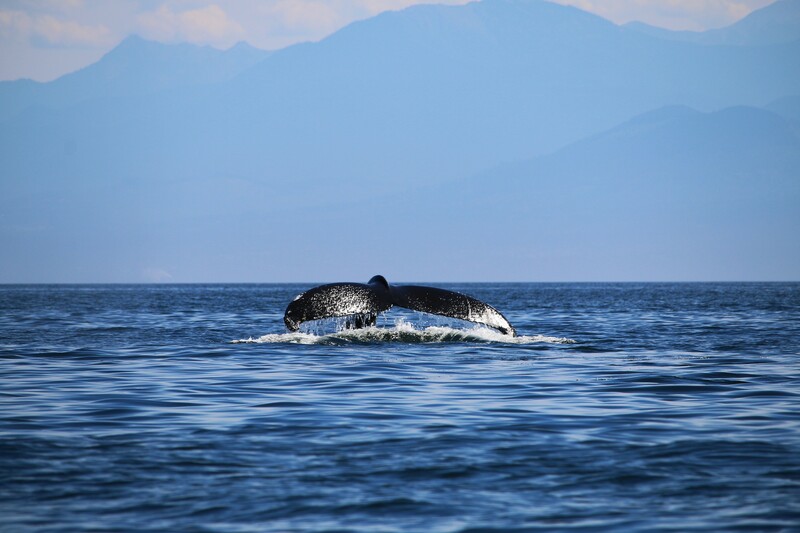 This past weekend, I was lucky enough to have my first whale watching experience! 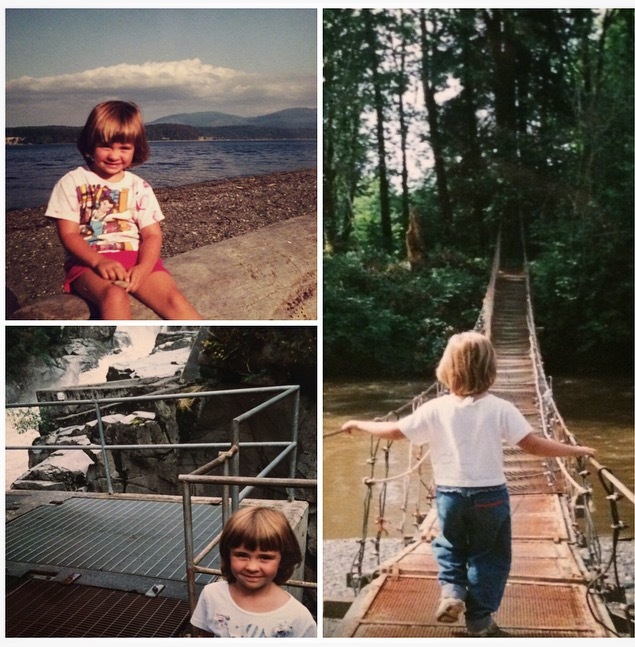 I was even more lucky to enjoy it with family on my uncle’s boat. It was an incredible couple of hours seeing several orca pods and humpback whales. We headed out into the Strait of Juan de Fuca, a channel that runs between southern Vancouver Island, Canada and the northern Olympic Peninsula in Washington. We had been out the day before and didn’t see anything, but heard guys at the dock later saying they saw orca pods two separate times. We were really hoping we’d have better luck this time out. After a few minutes of looking around, we saw the first dorsal fin come out of the water. It was by far one of the most amazing things I’ve ever witnessed. The sheer size of these whales is enough to leave you speechless! 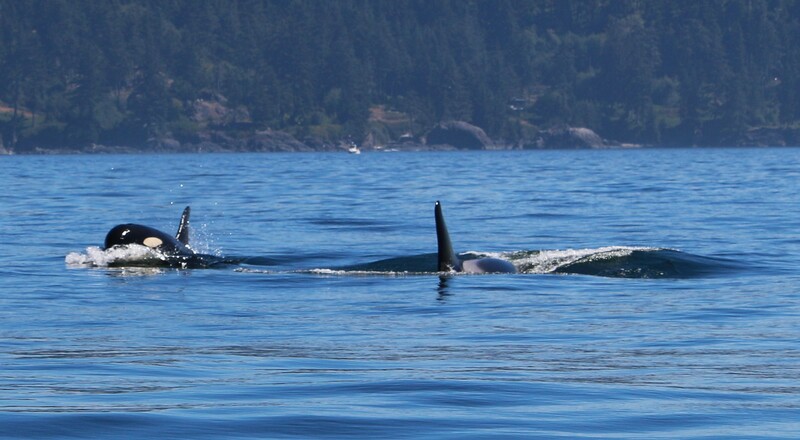 Click below to see a ton of pictures of orcas (even a baby!) and humpback whales! Crab Cakes and Steak Oscar! 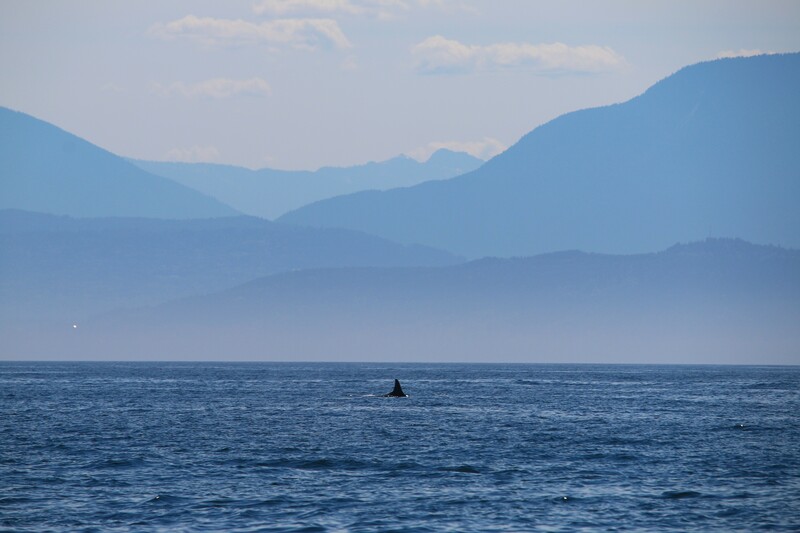 I’m gearing up to head out to the Strait of Juan de Fuca next weekend and I can’t wait! 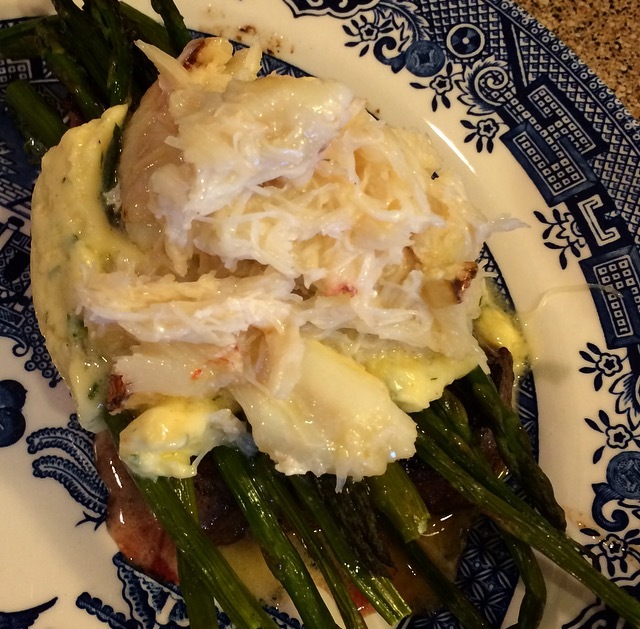 It got me thinking about the last time I was out fishing in the San Juan islands and I realized I never posted my crab recipes from the delicious fresh crab I brought back that trip. Crabbing is something I had never done before so it was really cool to be able to see it first hand. I learned all about pulling pots, distinguishing males from females, seeing if their shells are soft, and measuring to be sure it’s legal to keep. This guy was one of big ones they could keep (yes he’s still alive in the picture!). Once I was home with the crab legs, I knew I needed to find some great recipes to really show off this delicious crab meat. 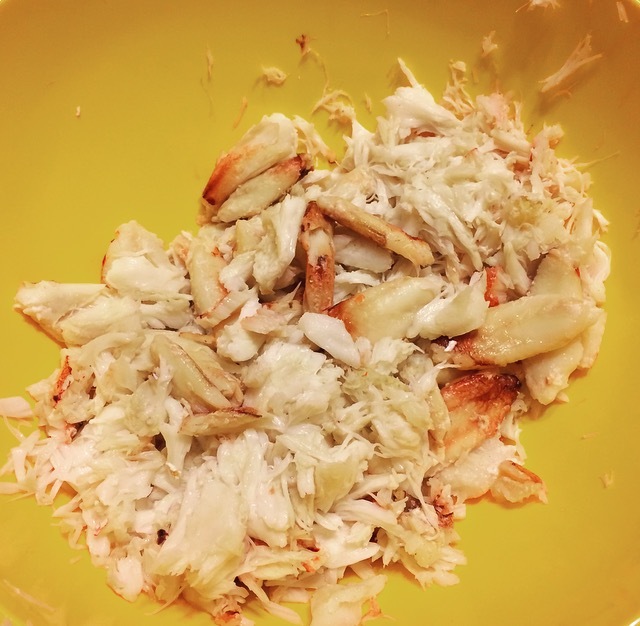 But before I could get to cooking, I learned the not so fun task of getting all the crab meat out of the shells. It took me over an hour to do all the legs, but it was so worth it when I was left with all this gorgeous fresh crab! Crab cakes were the first thing I wanted to make. They’re one of my favorite appetizers to order at any seafood restaurant. That being said, I’ve definitely had some crab cakes that left me wondering where all the crab meat was in between all the breading. So it was important to me that I found a recipe that really showcased the meat and didn’t use a bunch of fillers. 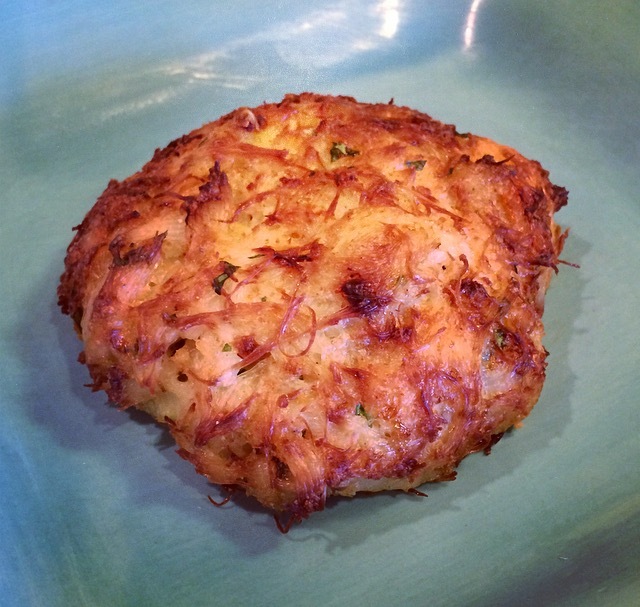 I found this recipe on All Recipes and followed the directions to a T. In the end, I was left with these beautiful crab cakes that everyone loved! It’s full of crab meat and delicious seasonings. You broil them in the oven to get the nice crispy outer crust. There aren’t many fillers added, so the crab is really the star of this recipe. 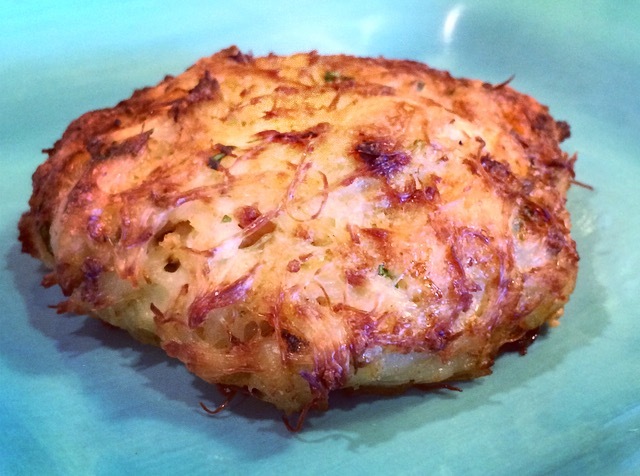 If you love crab and love crab cakes, definitely give this recipe a try! 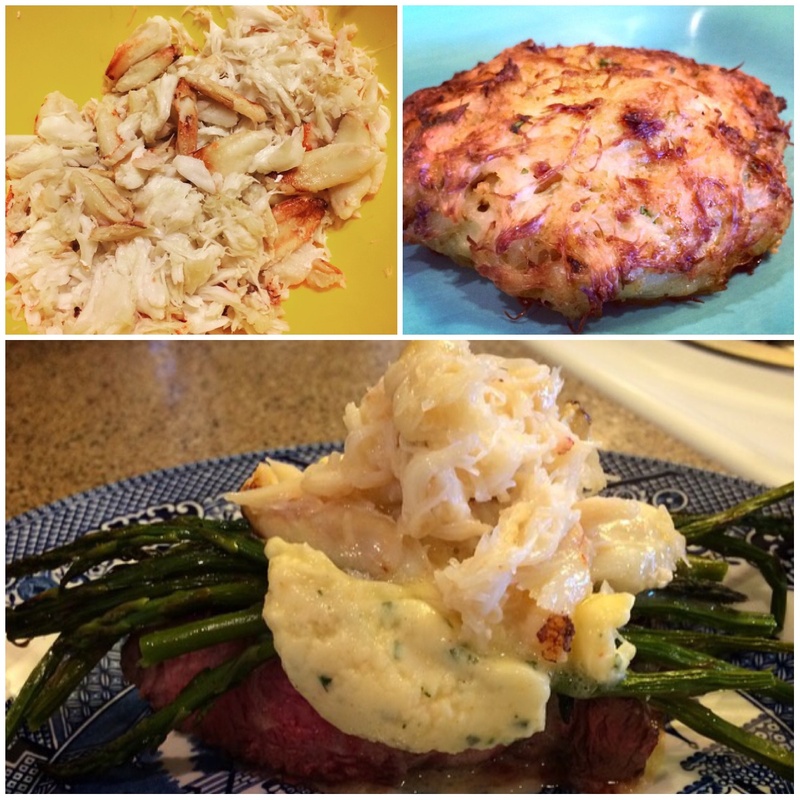 Now, for the rest of the crab meat, I knew I really wanted to go all out for what I made. What better than surf and turf? And Steak Oscar was the answer! For this recipe, I looked to Ree Drummond for inspiration and loosely based my recipe off of hers, found here. Now her recipe called for shrimp to be used on top, but I swapped that out for fresh crab meat soaked in the butter sauce. 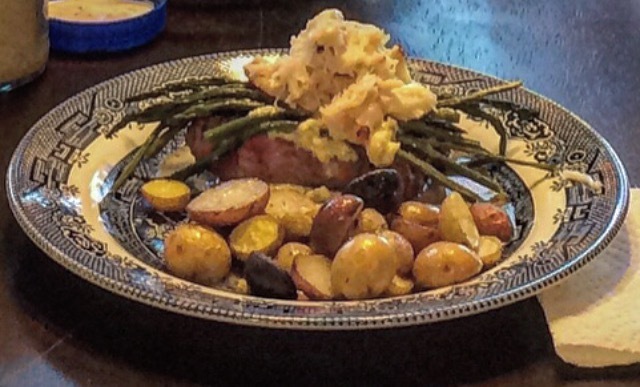 Unlike a typical bearnaise sauce used for Steak Oscar, she makes a tarragon hollandaise sauce that is so dang good you’ll want to put it on everything you cook! For the asparagus, I coated them in olive oil and balsamic vinegar and roasted them in the oven. This is actually my favorite vegetable to eat with any meat dish. They turn out soft and crispy on the ends. The steak was grilled in a piping hot cast iron skillet to medium rare. It’s a little bit tricky to get the timing right for everything to be done at the same time (my sauce thickened up a bit) but the end result is so worth it. This may be the nicest meal I’ve cooked so far. It’s definitely a pricey meal to put together, but the final dish rivals anything you’ll get at a nice seafood restaurant! I served mine with roasted tri-color baby potatoes and salad. It was definitely a crowd pleaser! I can’t wait to make it again, maybe next time with a nice venison steak! 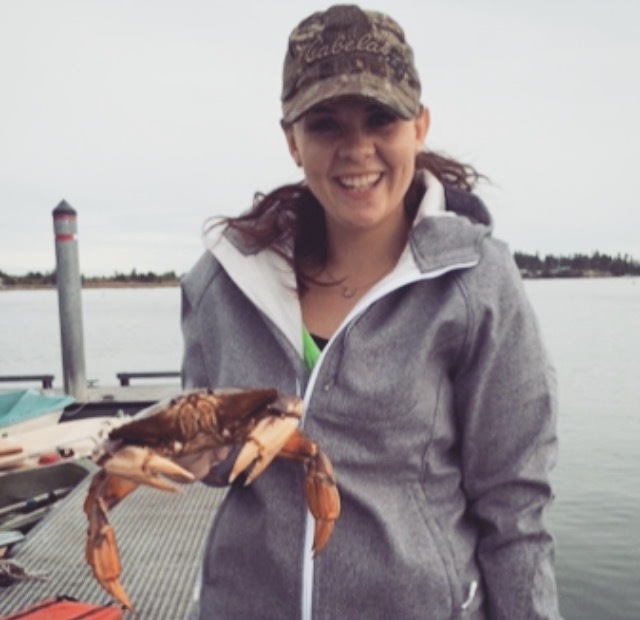 What’s your favorite way to eat fresh crab? Share below and let me know if you try either of these recipes! 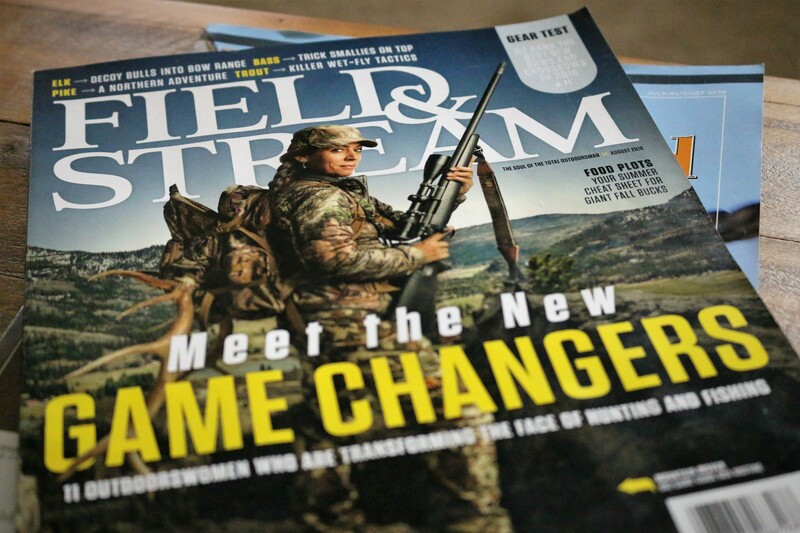 If you haven’t seen it yet, the latest issue of Field and Stream features female hunter Mia Anstine on the cover. I was really excited to see this. Mia’s blog was one of the first blogs I found when I was getting into hunting so it’s great seeing her gracing the cover. Plus, there are 10 other women making a difference in the outdoors inside the issue! 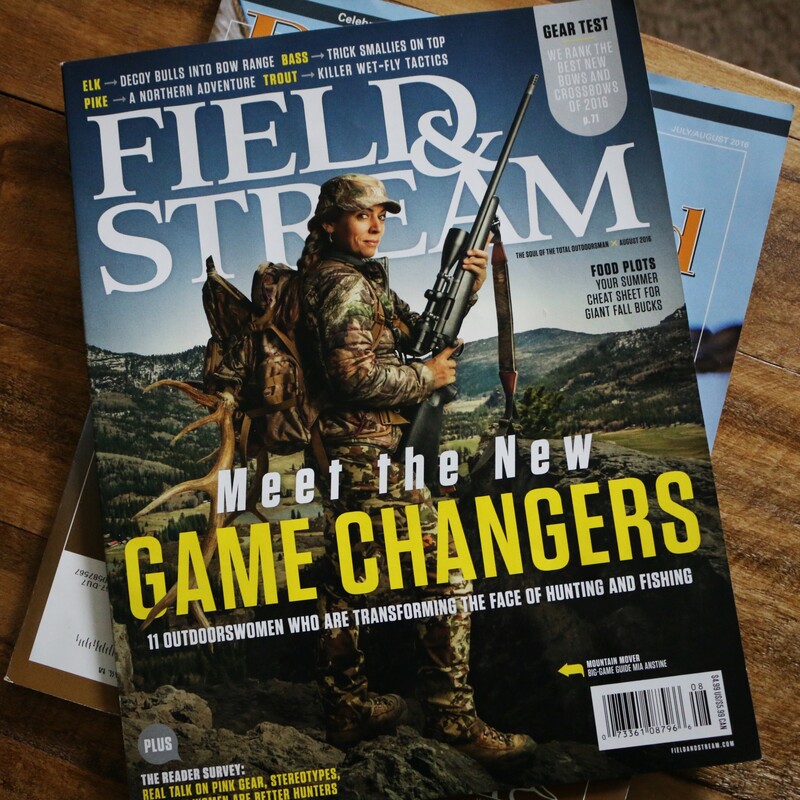 Did you know there have only been 3 women on the cover of Field and Stream in the history of the magazine? The first, Queen Elizabeth in 1976. The second, Eva Shockey in 2014. And now the third, Mia Anstine in 2016. While it’s small number, I’m glad it only took years for this to happen again instead of decades. Looking back on it, I wanted to be a lot of female characters I saw. I loved the Teenage Mutant Ninja Turtles and wanted to be April O’Neil. I always chose Sonya when playing Mortal Kombat on Sega because she was my favorite from the movie. I loved Sam on the sitcom Step By Step because she worked on cars and was also a tomboy. Do you see where I’m going here? In movies and shows, some geared for boys, I always identified with the women. I’m sure there’s a fancy psychological term and explanation behind that but that’s out of my realm of expertise. What I do know is the females that young girls see in media are important. I often wonder what would’ve happened had I seen a woman on the cover of my dad’s hunting magazines. Would I have told my dad I wanted to be a girl like that one day? I guess I’ll never know. But I hope that there are little girls who have seen either Eva Shockey or Mia Anstine on the covers and told their parents they want to be like that one day. That’s why representation is so important—all it takes is one picture to open a whole new world to a child and create a new passion. More and more women are being highlighted for their accomplishments in the outdoors and it’s amazing to see. I hope by the time I have kids, females being represented in the outdoors is the norm. Because I sure could’ve used it when I was a little girl. I just got my schedule in the mail for this year’s Washington Outdoor Women fall retreat! I went last year and had the best time learning about duck hunting and archery. I’m really excited for the workshops I’ll be taking this year: Fly Fishing 101, Wilderness First Aid, Survival Skills, and First Aid for Dogs. I can’t wait for Fly Fishing, the instructor seems amazing. I remember last year a woman told me she took that workshop and now teaches other people how to fly fish from everything she learned. I was happy when I saw they offered a Wilderness First Aid course this year. I’ve been wanting to take something on first aid basics since you can be miles away from help when you’re out hunting. I can’t wait to see what I learn in there. 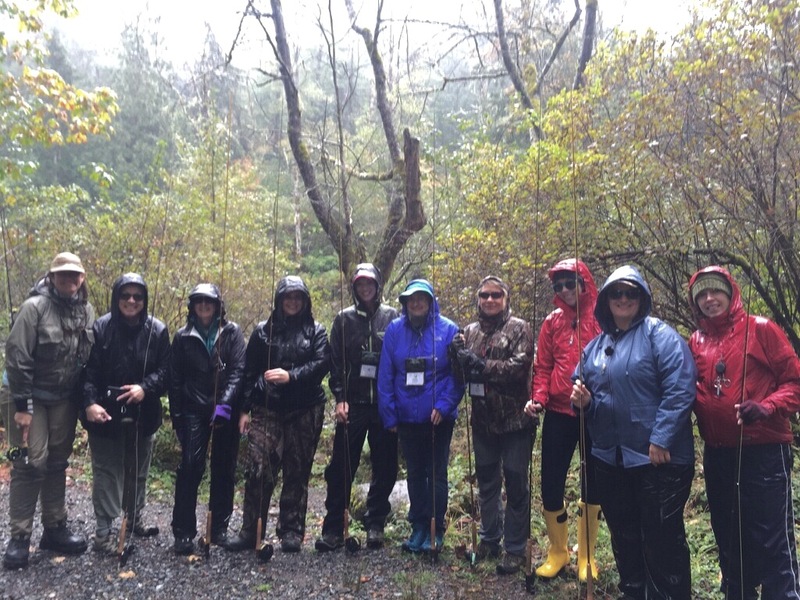 Survival Skills is another workshop that’ll teach me skills I’ve been wanting to learn. The chance of getting stuck or lost in the outdoors is always there, so knowing how to make shelter and fire will be great to make me more confident when I’m out hunting. I can’t wait, I’m so excited! September needs to hurry up and get here! Definitely expect posts on everything I learn! Registration is open until September 7th if any ladies are in Washington and would like to go! You can find more information on the workshops and the registration here. 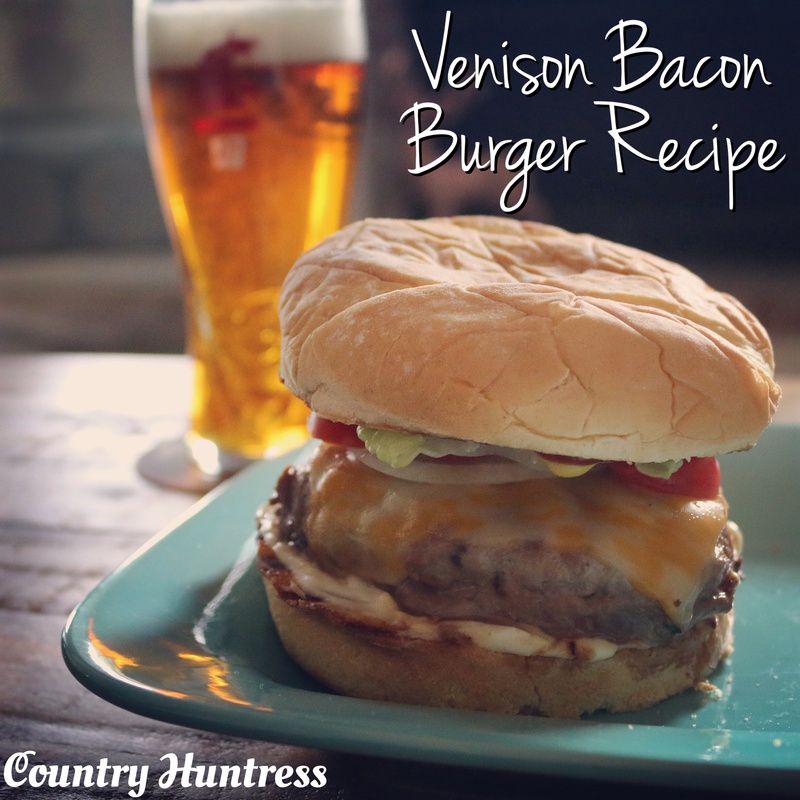 Summer is here and what better time to grill up some delicious venison bacon burgers! 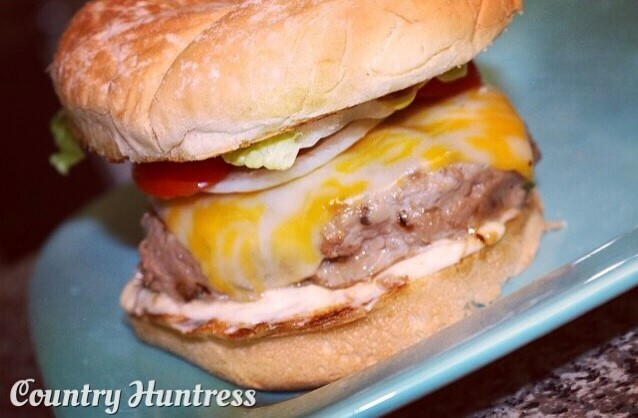 You might be wondering where the bacon is, this recipe has it inside the burger creating a great flavor! One complaint I’ve heard about venison burgers is how dry they can be. Not this recipe! Big, juicy burgers full of flavor that go great with a beer on a beautiful summer day. Click below to get the recipe!